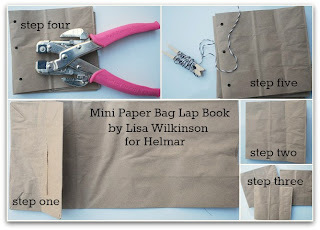 Today I want to share with you how I create a smash book page using Helmar Premium Craft Glue. I know, I know, the smash book comes with a nifty little pen with a glue top, but do you think I use that?! Nope, I let the kids have that as soon as I unwrap my smashbook because kids love a glue stick for their school work. For something I'm making that I want to last for a long time, I'm going to turn to my trusty, tried and true, Helmar Premium Craft Glue. Thanks so much for stopping by today! Remember to join us every Tuesday night at 7p ET for a LIVE broadcast with one of Educators for incredible inspiration and how to's. Hello Helmar friends! JJ here again, with another layout showcasing how well our adhesives work with textured scrapbook supplies. To get a little lift on my title, as well as some of the die-cut stickers, I used Zap Dots - quick and easy! 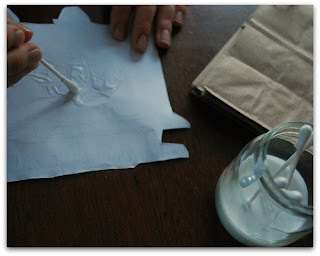 For lumpy embellishments, like 3-D flowers, 450 Quick Dry is my go-to adhesive, every time. (It works great on wood embellishments, too). Beck here with a couple of little projects I was able to pull off thanks to my Helmar Goodness! I made this card for a little one that was born back in March. It was so easy to come together thanks to a wonderful paper range some dies and of course my Helmar +to pull it all together! I used my Helmar Acid free and Helmar Liquid Scrap dots on this one. While creating the card, I thought... why not make a wrapping paper decoration to match. So I did, and this was the result. It was so nice to have them match. 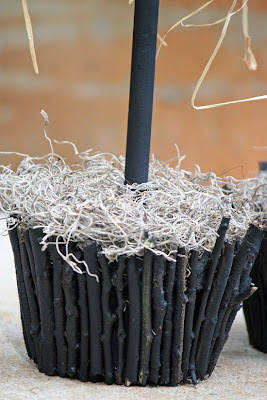 It's amazing how good you can make some plain brown paper look with a little raffia and paper and Helmar! Hope have a fun and creative weekend! Living in a house full of boys, I am no stranger to all the themes that boys seem to love; superheroes, dinosaurs, cars and all types of trucks, fire engines, good guys and bad guys, and let's not forget the pirates. Some of my boys' first sounds and words were actually versions of pirate grunts and "aye matey"s. I think it's part of their genetic makeup or something. In any event, It's sometimes hard to keep a page masculine without getting too thematic. Here I've used textures and mediums that give a rough "boy" feel. Inked pebbles, rollerstamp text, Distress Ink splats, and a few doodled X's. Something about the colour and texture of kraft paper just seems masculine too, even when die cut into doilies. I powered through this layout with my go to glue; Helmar Professional Acid Free Glue. It worked on the lightweight bingo sheet without bleeding or warping, held the intricate cuts of my doilies with little fuss, and was perfect for the chipboard and paper layers. You know you trust a glue when you readily apply it to the back of your photos without thinking. 1. 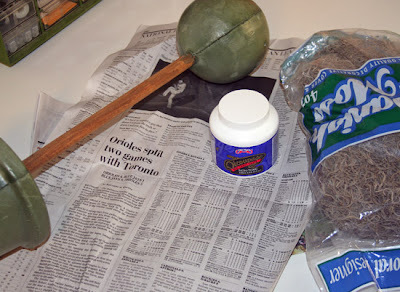 Coat a sheet of cardstock with Helmar's step 1 crackle medium and allow to dry. 2. Apply a coat of Helmar's step 2 crackle medium and allow to dry. 3. 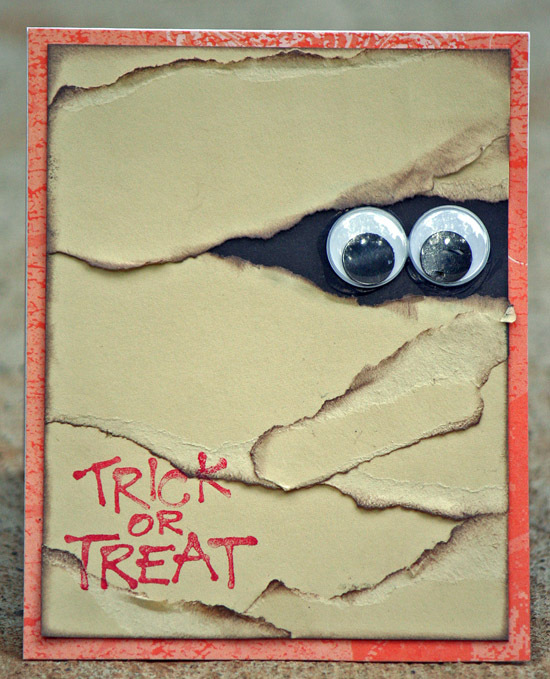 Cut, tear the desired pieces of crackle paper and start building your cards. 6. So what are you waiting for, start crackling today - remember you can share your Helmar creations on our Facebook page we love to see what you create with our aweosme products. Here are the cards I made with my piece of crackled cardstock - I did also use another 2 sheets of plain cardstock as the base of my cards choosing to add the crackled paper on top. I just love the added texture that Helmar's 2 step Crackle Medium has to offer. nothing like tearing to add extra dimension and texture ........... look at the crackle popping!! In the past, I never really made many cards. Lately, however, I've enjoyed the process of cardmaking very much. I honestly can never craft without my Helmar, especially Premium Craft Glue, and it is so perfect for my new affection for cards. I started this card by spraying the background with Color Shine Mist in Mint, and then layered over the top. 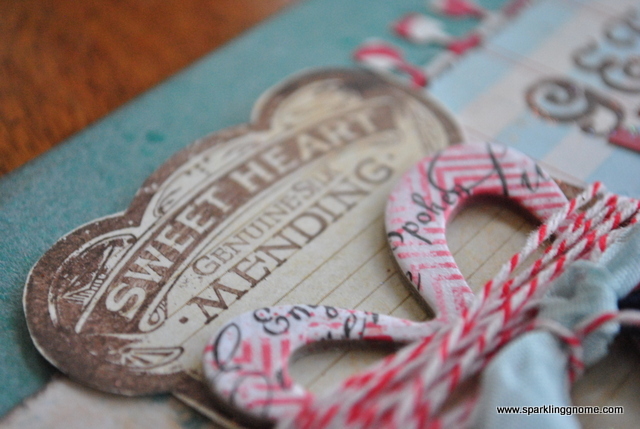 I adore this Sweetheart Silk Card stamp from Pink Persimmon, and I knew it would be really pretty as the centerpiece. I elevated the card (with a gradient of Clearsnap embossing powder blinging up the lower half) using 1/2" white Zap Dots. Zap Dots are the best for adding dimension....and they never move. The Heidi Swapp heart was misted with Mist in "Mel's Diner" by Tattered Angels. I wrapped it with red and white baker's twine, and adhered it directly to the stamped card, using Helmar 450 Quick Dry. To add some sparkle to the Jenni Bowlin alphas, I applied a very light layer of gemstone glue, using a Q-Tip, and then sprinkled on some Fairy Dust Glitter, from Donna Salazar for Clearsnap. 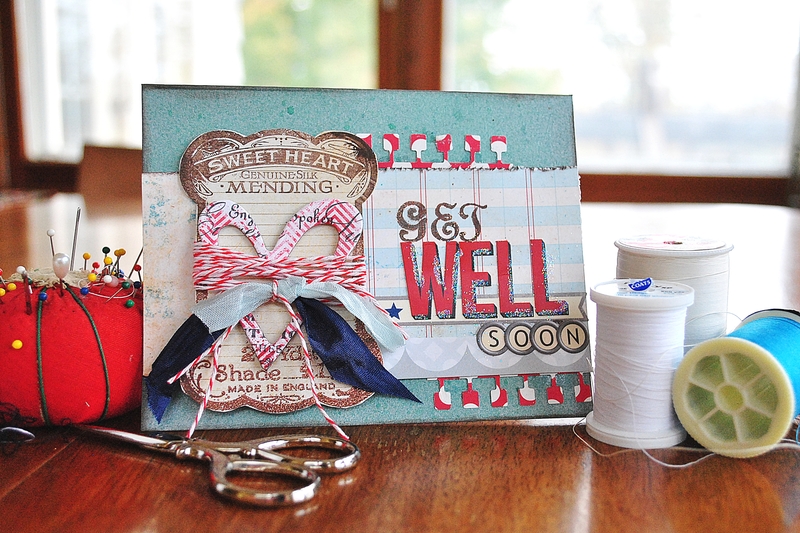 I made this a "get well" card, because I noticed I never seem to have one around the house, when I need one. 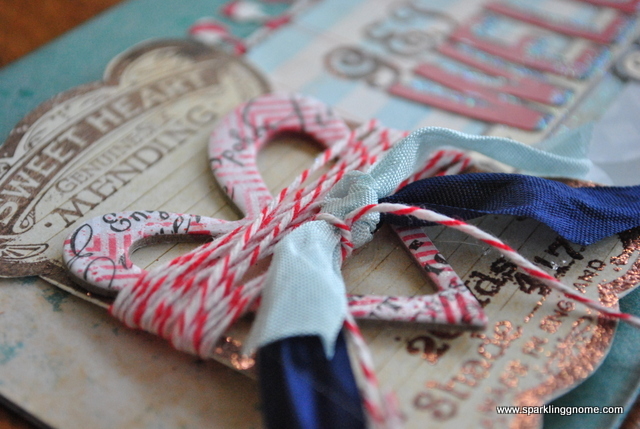 I think that this card will be extra special, with the heart hugged by pretty ribbon and twine. I hope I don't have to give it away too soon, but I hope it will warm the heart of the recipient. Thanks SO much for joining me today, and I send you lots of sparkle and blessings! Vicky blogging today. I am a scrapbooker by nature but once in a while I get a desire to create off the page (OTP) projects. 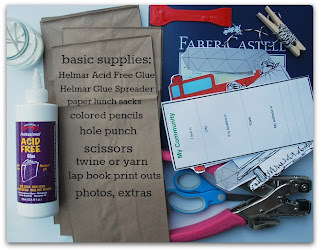 Here is a step-by-step on how I altered this canvas purse using my favorite adhesives and some fantastic preferred partner products. Since it is breast cancer awarenes month I went with my favorite color - PINK! My mom gave me this 10x10 inch canvas purse she bought for $2 at a dollar store and said "Can you make something with this?". Ummmm, YES!!! So, I started to mist it (outside) and realized I was going through A LOT of mist without the result I wanted. It looked so "blah". Then, I remembered the awesome cross promotion products the Helmar DT received from Faber-Castell this summer. I started to play with a pink gelato and a green stamper's big brush pen. I made a pink paste in a plate with a gelato (scrape off a chunk of gelato and add a bit of water) and a green puddle with a big brush pen (scribble and mist some water) and painted it on with a paintbrush for a nice vibrant color. I then stamped with the green and used the brush pen directly on the stamped image to darken it. Next, I created a handmade flower and glued it to the canvas using my all-time favorite Helmar product - the 450 quick dry. 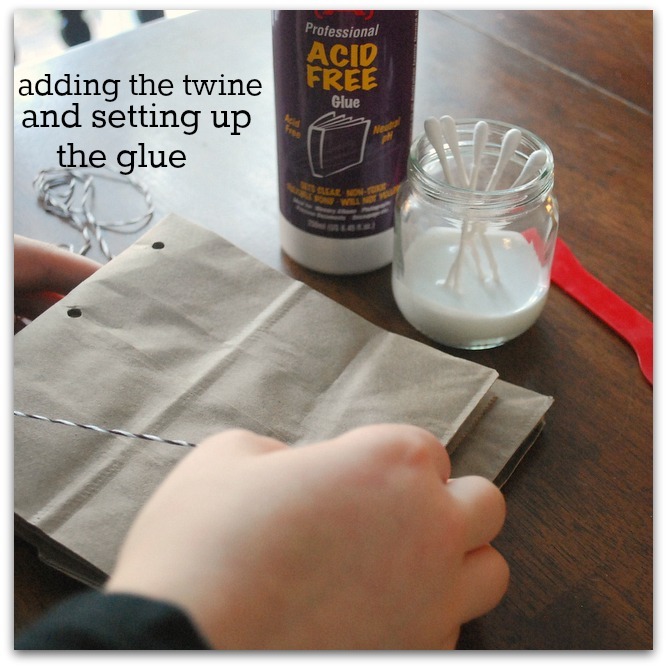 This stuff is better than any hot glue and won't yellow (or burn you). It's great for heavier items like this canvas flower or metal. I also used thin gesso and a stencil for smeared writing and then added some water to my left-over gelato paste to create a mist. I misted the script stencil for crisper pink letters. I next added some gorgeous lace from Green Tara using Helmar's Premium Craft glue. It works great on delicate fabrics - you can't see the glue and it won't yellow the lace. Lastly, I gave this finished purse a spray of Helmar's Krystal Kote Matt to seal the colors in. It won't be washable so I wanted it a bit resistant to dirt. Before I go, here is a second OTP project I created to be worn by yours truly next week. I took a plain dollar store mask and added some left-over embellishments from my October Swirlydoos kit. I used my trusted 450 quick dry on this to make sure nothing falls off when placed around my face. Thanks for taking a peek at my projects today! Hi Everyone! 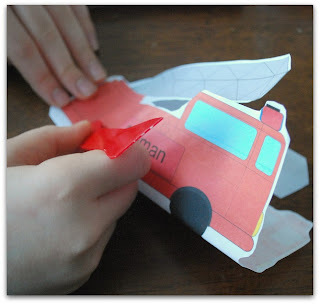 It is Lisa here to share some homeschooling fun with you today!! Step One: Start with your paper bags flap side up. Step Two: Fold the flap side into to make a booklet. Step Three: Create as many booklets as you would like to create your mini book. 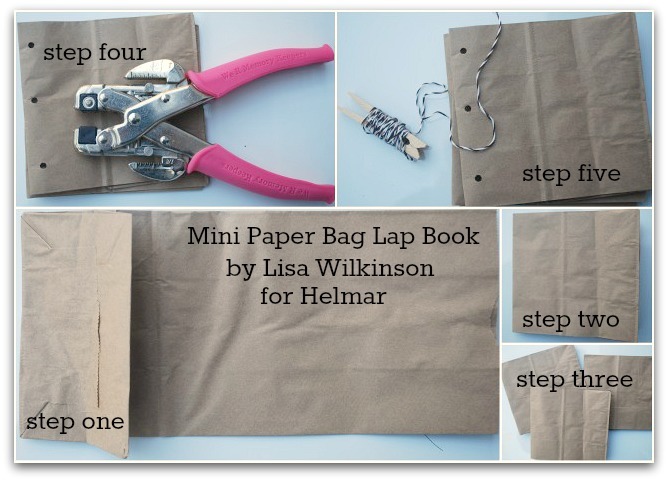 Three paper bags make a nice size book. Step Four: Punch two or three holes along the edge of each booklet. Step Five: Use twine (or yarn) to combine the booklets together. Now you are ready to start creating. These books can be used for any number of home school review books, daily meeting books, or any thing you can think up. These books are simple to make, but can hole quite a lot of information. They already have flaps, hidden pockets and pages. From there you can add as little or as much as you wish. 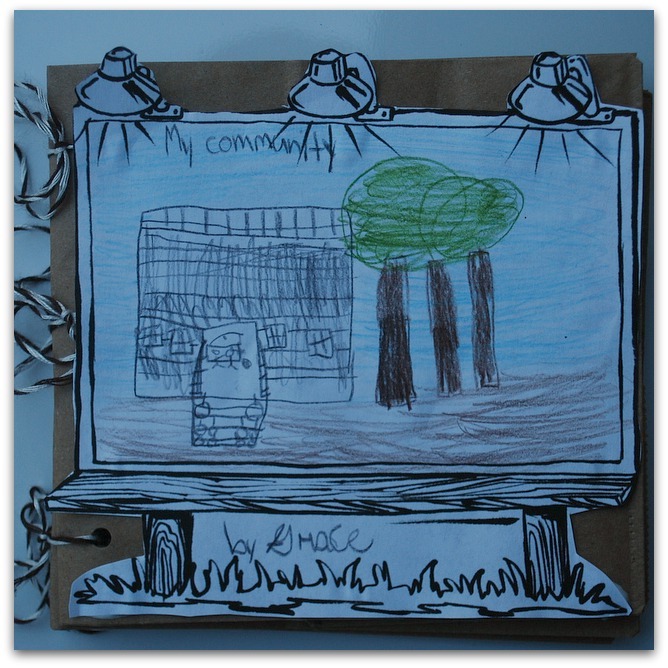 For our lessons we are studying community and using one of these to pull all of our information together. One of my daughter's started right to work. 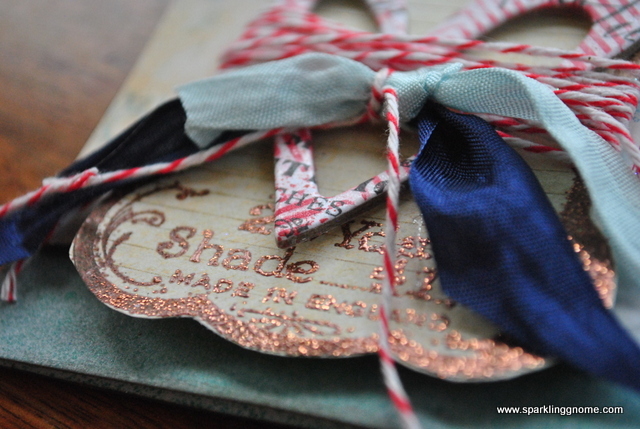 She started by tying her pages together with twine. You can see that we have our glue gathered. 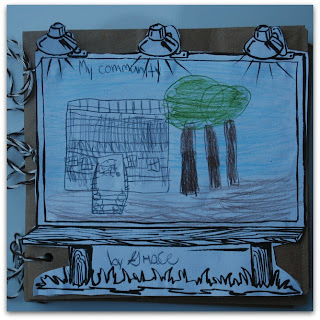 We are using Acid Free Glue since we are also working with photos in this book that we took as we journeyed to some of our favorite places in our community. Next she colored her print outs and used the qtips to apply the glue. It is a simple way to spread it nice and thin. Hello Helmar fans! I have been assigned to create 14 centerpieces for our church Halloween dinner/party. Yes, I said 14! Helmar has been a huge help in this matter. I don't know I would do it without this premium glue. Really! Hello Helmar fans...Martha here with a Public Service Announcement...VOTE FOR HELMAR!!!!! I'm going to sound like a broken record here but Helmar Adhesives are the only ones I've used for 2 years...my favorites being 450 Quick Dry Adhesive, Acid Free Professional Glue and Liquid Scrap Dots. I'm responsible for creating at least six projects per month for Design Teams and often more than that. I have carried projects from NC to CA. and back, NC to Il. and back...I need to know that the hours I spend creating these projects ARE NOT going to fall apart. 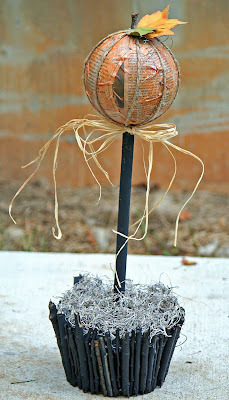 I would like to share 4 projects I created for an awesome kit club...SCRAPS OF DARKNESS ~For the Alternative Scrapper. I was asked to do a guest desiger spot for September. I really could not have done them without my HELMAR!!! 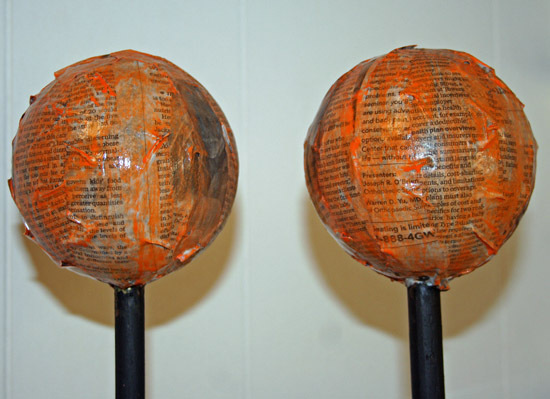 My 1st project I utilized the Helmar Profesional Acid Free Glue to do most of the paper-to-paper parts. 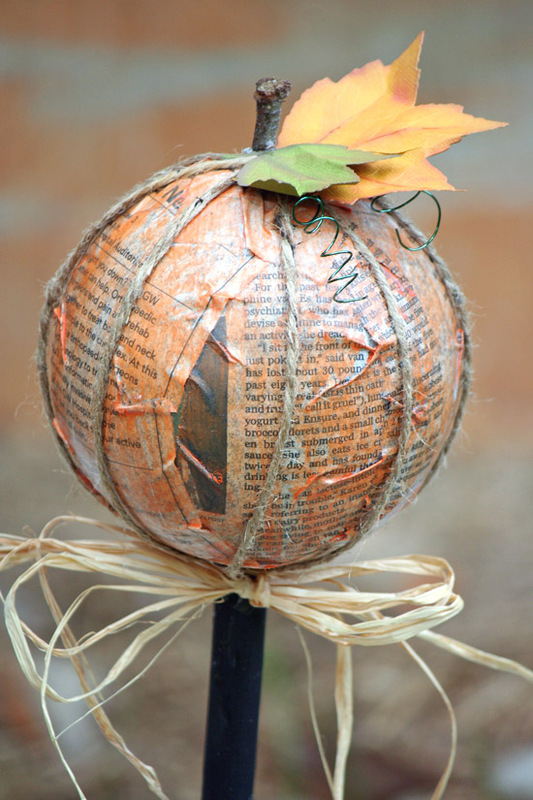 The Helmar 450 Quick Dry Adhesive was utilized to attach the ruler ribbon and the other embellishments to this LO. The Prima light bulb embelishment is heavy and it is not going anywher with Helmar's 450! For my 2nd project I utilized the Helmar Professional Acid Free Glue to attach the paper and printed napkin to the 6"x12" canvas. There are several embellishment on this canvas...wood tiles, brass castings, chipboard and Helmar's 450 again did the job required to hold them all in place. 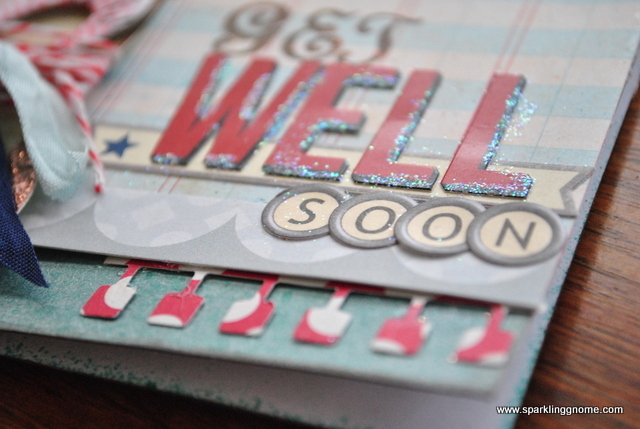 To give the quote a little lift Helmar Liquid Scrap Dots was put to work. The 3rd project is another LO. For the LO part I utilized Helmar's Professional Acid Free Glue and for the ruler ribbon and layered banner only Helmar's 450 Quick Dry would do the job. The last project is an assemblage piece that required the use of Helmar's 450 Quick Dry and Liquid Scrap Dots. I attached to vintage Monopoly pieces to cover the bolts that hold the chipboard pieces together with Liquid Scrap Dots. The other embellishments...the dominoes, hinges, key, light bulb and keyhole utilized Helmar's 450. Now don't forget you can order Helmar products here in the US.